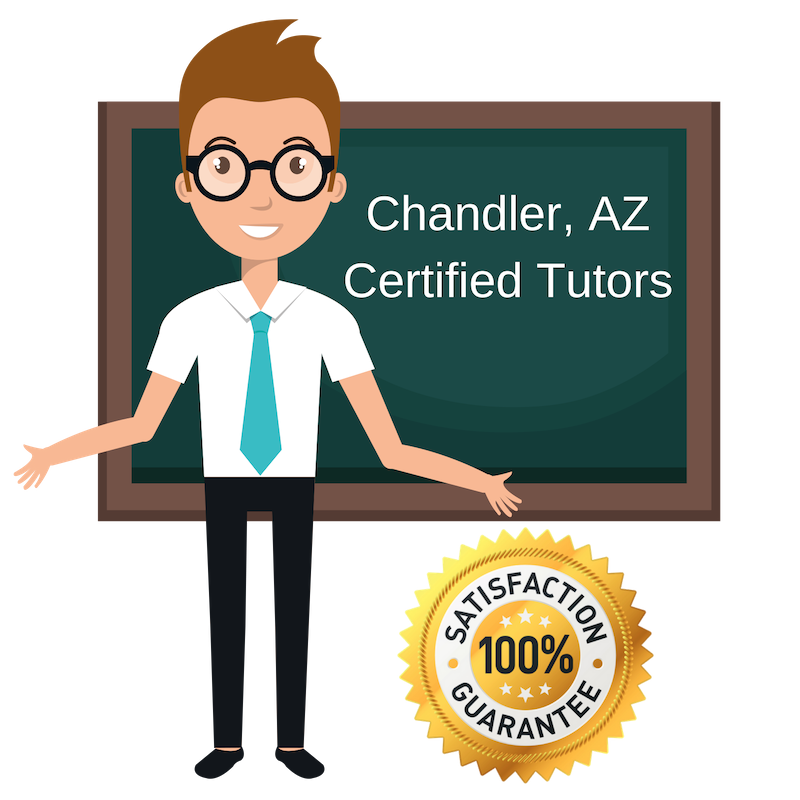 Top Rated Private Tutors in Chandler, AZ! By partnering with Varsity Tutors, the leading tutoring agency in the country, we have access to the best tutors in Chandler, AZ. For the last five years I have been a classroom teacher, certified by the state. I received my Bachelor’s in Elementary Education from Northern Arizona University and will soon be pursuing my Master’s degree. Teaching and tutoring have long been passions of mine. I began tutoring in college and since graduating, I have taught elementary students and tutored a range of students. I tutor math to students in Chandler. I want each student to feel comfortable and that they are working towards success. I create a safe and open learning environment for them as we practice math. Science has been a huge part of my educational career for as long as I can remember, which is what led me to tutor science to students in Chandler. I am currently pursuing my PhD at Arizona State University in Exploration Systems Design. Previously, I received my undergraduate degree from Harvard in Astrophysics and spent time at Columbia University doing research in their Astrophysics Laboratory. These have all been exciting experience and I look forward to sharing my enthusiasm of science with students looking to dig deeper into the subject. I have been tutoring since I was in high school and have found great ways to connect with students, relate to their challenges and help them better understand tough material. I have my Master’s in Elementary Education from ASU and have a lot of teaching experience that began in 2008 when I started Teach for America. After my two years with Teach for America, I went and taught English in Japan. I have since moved back and have continued teaching and tutoring. I actually prefer to tutor as I am able to work more closely with each student, tailor my teachings to their needs and work with them in an environment that they learn best in. I tutor SAT prep to students looking to improve their scores and better their studying habits. I did well on this test and want to help others succeed on it as well! I’m a PhD student pursuing my degree in Spanish Linguistics. I am a lifelong learner and have also been a tutor and teacher for the last ten years. You can check my references and they will tell you that I have helped students achieve their academic goals and succeed. I’m a good tutor because I am flexible and patience and share what I’ve learned throughout all of my schooling with students in a way that makes sense to them. I tutor ACT prep to students to help get them ready for the next chapter in their lives and to perform well on the ACT. I tutor English and focus on making sure each student understand the basic framework before moving on to more complicated topics. I have a passion for education and have tutored for a long time. My approach is adapted to each student’s way of learning. I recently retired from the tech industry and am want to help students improve and work on their English skills, which help them in all areas of their life. Student-Tutor's partnership with Varsity Tutors makes it easy to find local world class certified tutors no matter where you live. Here are some other tutors in Chandler. Let's Spark Bright Futures!